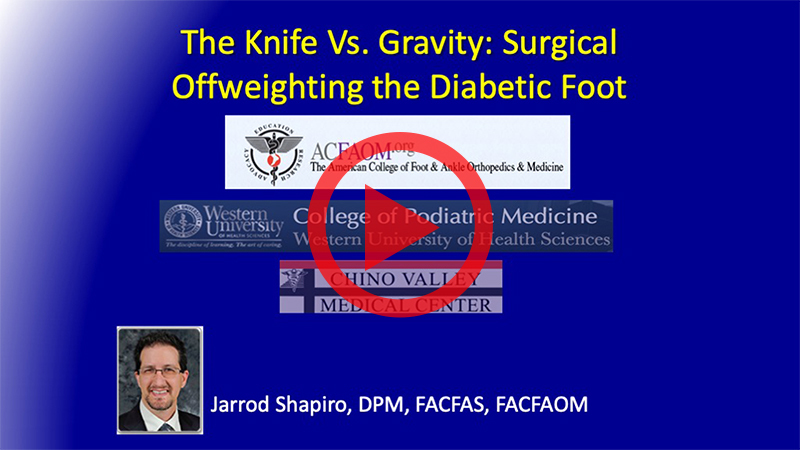 In early 2018, we carefully reviewed what is covered on the ABPM and ACFAS exams, and compared that to the online lecture topics offered the last few years in the PRESENT Podiatry Online Board Review. We found that there were both redundancies and gaps in what was included in the product compared to what is being tested for in the board exams. 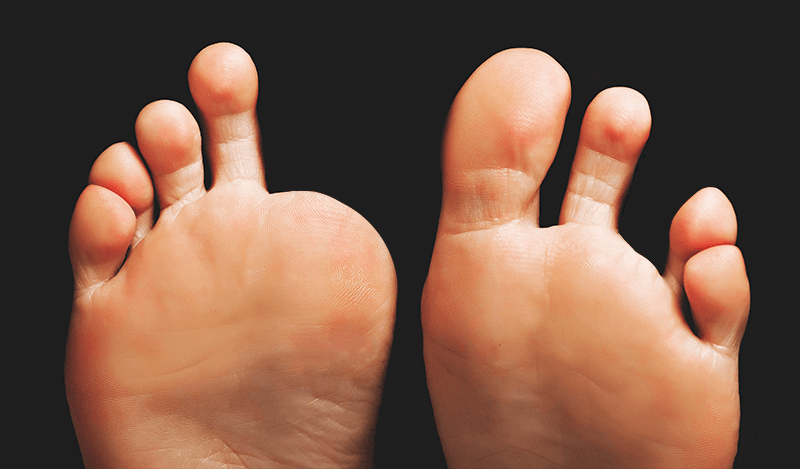 To create a more useful and focused online Podiatry Board Review product for the podiatry community, we created a BRAND NEW podiatry board review product that more carefully targets exactly what is tested for on those exams. 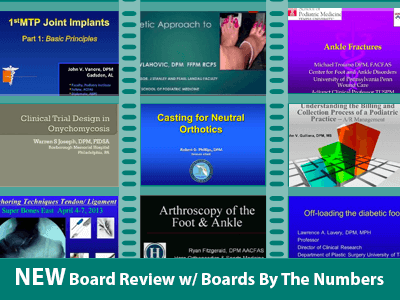 The new product, released for use on Jan 1, 2019, called NEW PRESENT Board Review, is a much more carefully selected and a focused subscription to a curated collection of lectures targeted at the topics that are tested for on all of the podiatry board certification exams. 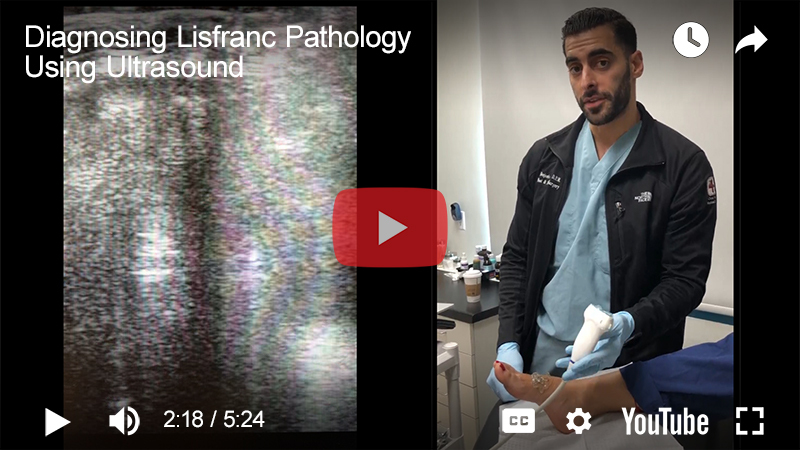 In fact, it is a comprehensive review of what every podiatrist needs to know to have mastered the body of knowledge that is tested for by the Boards. 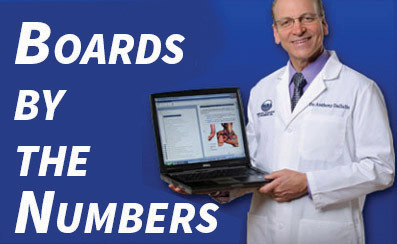 • Includes all relevant topics - Perioperative Management, Office Emergencies, Blood Test Interpretation, Dermatology, Review of Neuromuscular Disease, Review of Imaging including soft tissue and bone tumors, Biomechanics and Orthotics, Surgical Principles, Bone and Soft Tissue Healing, the Human Gait Cycle, Vascular and Neurological Disease, Rheumatology and Arthritis, Trauma Evaluation and Treatment, Offloading, Wound Evaluation and Treatment, Anesthesia, and much, much more. • You will be given the option of renewing your subscription when it expires. Your subscription will not be automatically renewed.